Tokyo is vying to become an innovation hub for entrepreneurs and investors, challenging Japan’s reputation as an environment that fails to nurture entrepreneurship, and a new nonprofit organization is hoping to play a leading role. The recently launched Venture Cafe Tokyo aims to help innovators break away from a culture that stresses conformity and fears failure, by bringing them together with potential investors in the business district of Toranomon. “Ideas, talent, money are a simple recipe for innovation. 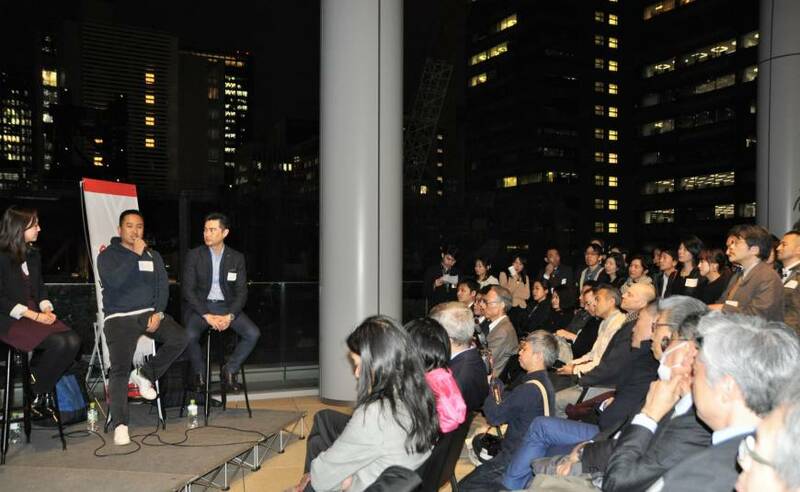 I want to organize programs and events so that those elements mix and circulate smoothly, like innovation dating,” said Yasuhiro Yamakawa, representative director of Venture Cafe Tokyo and entrepreneurship associate professor at Babson College in Wellesley, Massachusetts, speaking to over 300 attendees at an outdoor opening event at Toranomon Hills. The Venture Cafe program was developed by Cambridge Innovation Center, a leading builder of innovation hubs that has set up networking “ecosystems” in five cities in the United States and Europe, with the first Asian office opening on March 22 in Toranomon. Yamakawa said entrepreneurs and investors should look for a “serendipitous collision” of ideas. The initiative hopes to boost innovation in a country known for having one of the lowest levels of entrepreneurship in the developed world. Its rate of early-stage entrepreneurial activity has remained at 5.4 percent or below for the last 14 years, according to the Global Entrepreneurship Monitor, which analyses data on more than 100 economies. GEM also said the nation’s venture capital industry remains small, with investments making up a far smaller share of GDP than in other developed countries including Canada, the United States and Britain. “To a large extent, low entrepreneurial rates can be attributed to a culture that stresses conformity and is highly critical of failure,” GEM said in its report. Many Japanese see not following the usual path of earning a salary at a company as too risky, according to Yoshiaki Ishii, director at the business policy office at the Ministry of Economy, Trade and Industry. Ishii also said that in Japan families often discourage entrepreneurship. “There are obstacles from parents and spouses when one decides to work at a venture company or small company,” Ishii said. “From a young age, Japanese tend to see taking on a new challenge as something distant. So we need to get more people to be familiar with entrepreneurism,” he said. Yamakawa said Venture Cafe Tokyo’s weekly “Thursday Gathering” will be a place where anybody interested in starting a business can join in a casual atmosphere, to meet people or participate in seminars, coaching, workshops and themed events. “We hope to attract hundreds of people every Thursday who are looking for partners or for ideas in a relaxed manner. 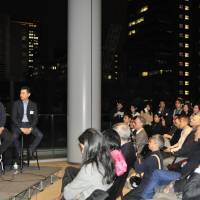 Prior reservations are not needed,” Yamakawa said. Sachiko Wada, 42, CEO of the successful startup Taskaji Inc., a housekeeping sharing service, also hopes Venture Cafe will help drive change. “When it comes to entrepreneurship, I think many people don’t know what to do. So Venture Cafe can be useful for getting tips and in sharing information, especially for big companies whose human networks tend to be limited,” said Wada, who worked as a systems engineer for 14 years at Fujitsu Ltd. before launching Taskaji in 2013. “A lot of people think launching a startup means taking tremendous risks and that those are for people with a strong mentality who can bear such pressure, but that is not the case,” said Wada. “I wasn’t a great risk-taker, and invested no more than ¥2 million ($18,700). I just wanted to solve an issue I faced; I was a full-time working mother and needed help with housekeeping,” Wada said. Her Taskaji service, offered mainly in Tokyo and Osaka, now has 28,000 registered users looking for help with housekeeping, while 900 are available as helpers. Taro Kodama previously worked for Yahoo Japan Corp. and Facebook Inc. and now serves as CEO of Anchorstar Inc., which helps businesses expand in the market. He also hopes that Japanese will be more open about their ideas. “Often Japanese people are conscious of (perceptions of) ‘Japan quality’ and are reluctant about getting feedback on products that have (not) yet been completed. Whereas overseas, people are good at making improvements on products that have not yet been finished,” Kodama said. “I hope people will change their mindset and share their ideas, even if they are still at the stage of being just an idea or a prototype,” he said, adding that Venture Cafe’s casual atmosphere could be one way to help them.